Trex is environmentally friendly; how ‘green” should feel. Made from 50% recycled plastic and 50% reclaimed wood. Click logo to learn more. Imagine a world with lasting color and free of splinters. 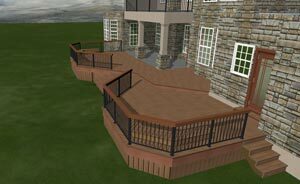 Bring your imagination to life with Latitudes Composite Decking and Railing. Click logo to learn more. TimberTech composite lumber decking is made from a revolutionary material that will never rot, warp, split, splinter or decay. TimberTech is an engineered composite decking material with panels built like interior wood flooring – tongue-and-groove style. Click logo to learn more. MORE THAN 90% recycled materials – 30% from post consumer and 60% from pre-consumer recycled materials are used to make MoistureShield. MoistureShild is also a LEED (leadership in Energy & Environmental Design) certified Green Product. Click logo to learn more. EVERGRAIN decking is a unique composite decking material with the look, color and grain of real wood, yet is low maintenance. Made with plastics and wood fibers, it never needs painting, staining or sealing. Click logo to learn more. 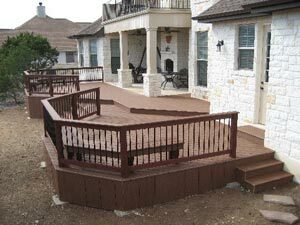 AmeraDeck’s proprietary composite formulation offers superior product performance compared to Polyethylene and Polypropylene composite decking products. 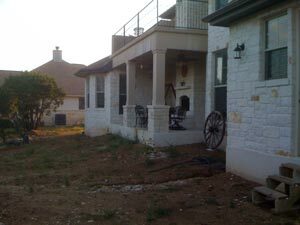 AmeraDeck is stronger, more scratch resistant, expands and contracts less and has better long-term weatherization results. Click logo to learn more. Fiberon® Horizon™ and Fiberon Outdoor Flooring™ PVC composite decking offer unsurpassed stain, fade, scratch and mold resistance. Stunning low maintenance beauty you can enjoy for years to come. Backed with the industry’s first 20-Year Stain & Fade warranty. Click logo to learn more.